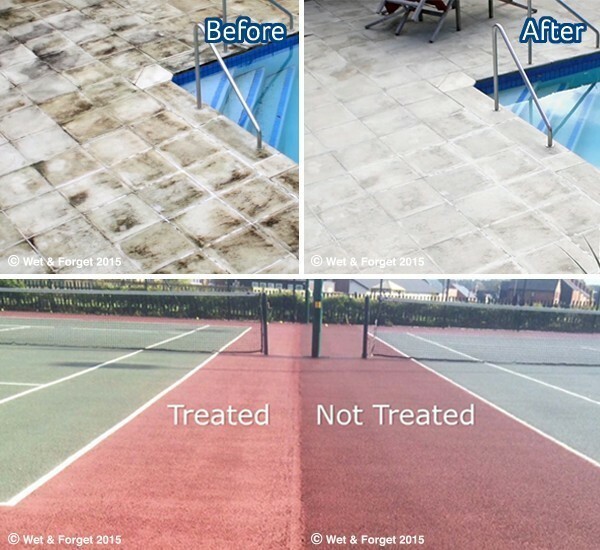 Suitable for cleaning patios, paths, tarmac, block paving, roofs and tennis courts, in fact ANY outside surface exposed to rainfall. 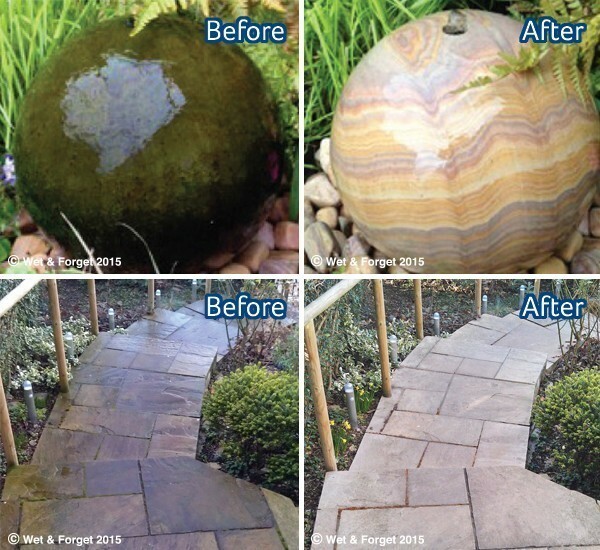 Kills and removes Moss, Mould,Lichen and Algae with no need of special equipment, just a good garden sprayer. 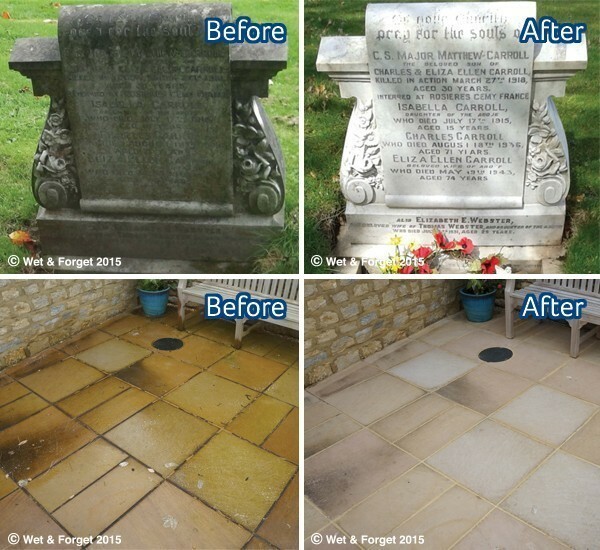 Wet & Forget helps prevent the damage caused by harsh scouring, scrubbing or water blasting. 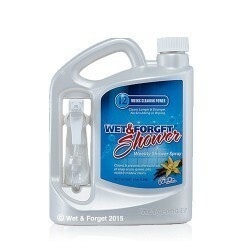 Unlike bleach based cleaners Wet & Forget has an unlimited shelf life. 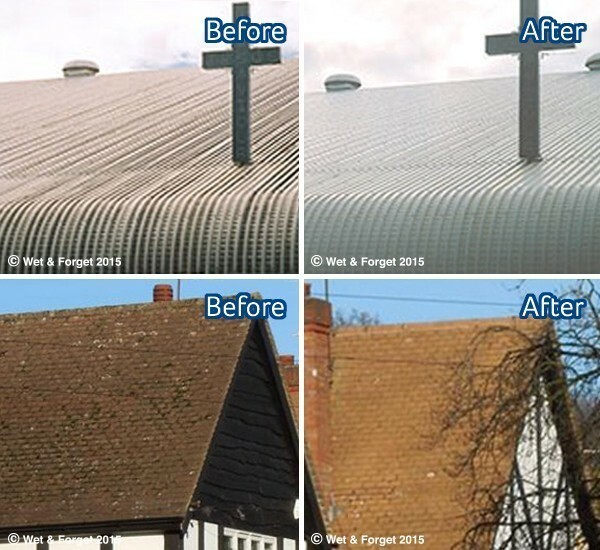 Wet & Forget helps prevent the damage caused by the harsh scouring of scrubbing and water blasting. 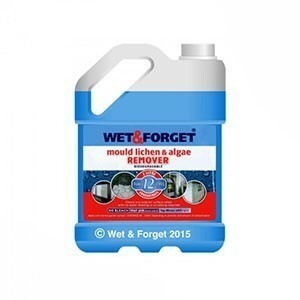 I have been using this product for six weeks and I have had no need to scrub the shower with any sponge. It always looks and smells clean plus it lasts a long time. Just spray it on once a week. 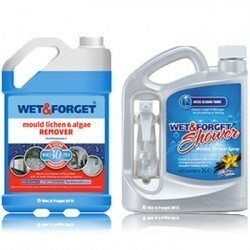 Every other bathroom product looks good until the next day, this one keeps your shower looking clean all week. 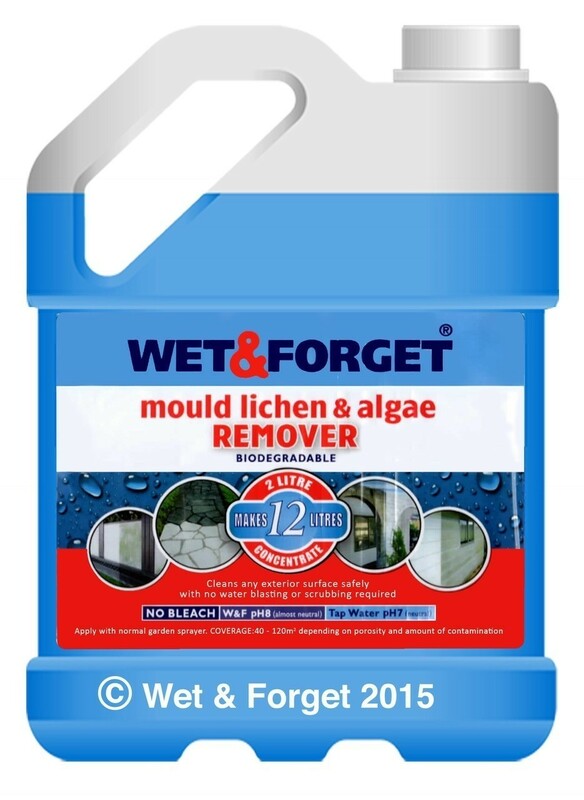 This is a very good product. 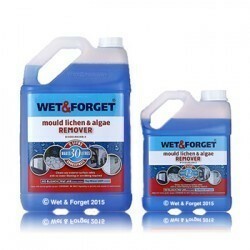 I can not recommend “Wet & Forget” too highly and I know of no other product that can touch it. 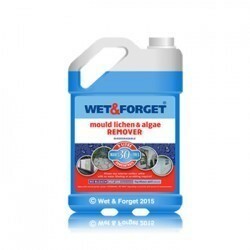 If you have the problem of persistent algae then this is absolutely the answer! 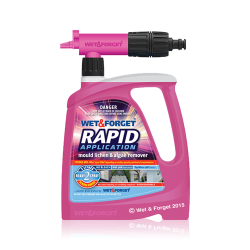 Thank you “Wet & Forget” for helping me enjoy my garden all year long! 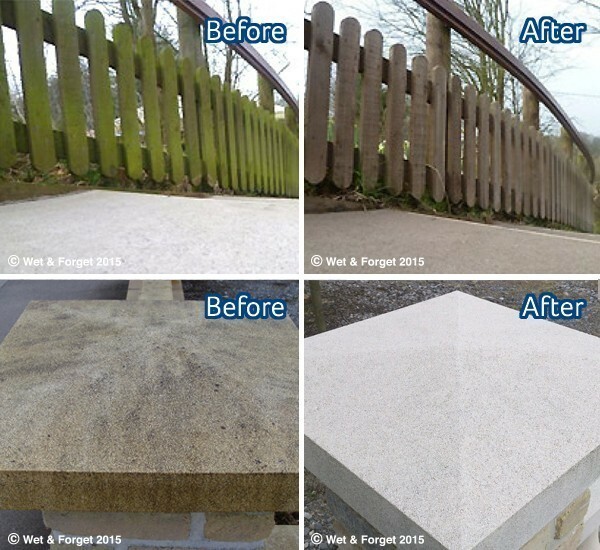 Following years of green mould/algae problems with my fencing and increased water bills with the excessive use of power washers I decided to give 'Wet & Forget' a try. What can I say. It's truly a miracle in liquid form. I couldn't believe that you just applied it and left it (outstanding results are never that easy) but you do and it works. It only took 3 days!! Take it from me. It's worth its weight in gold.